On Sunday, as Rajaji Thomas’ election campaign passed through the Nattika Assembly segment, Prasanna K B of Nedupuzha kole padavu told Express about the hardships encountered. 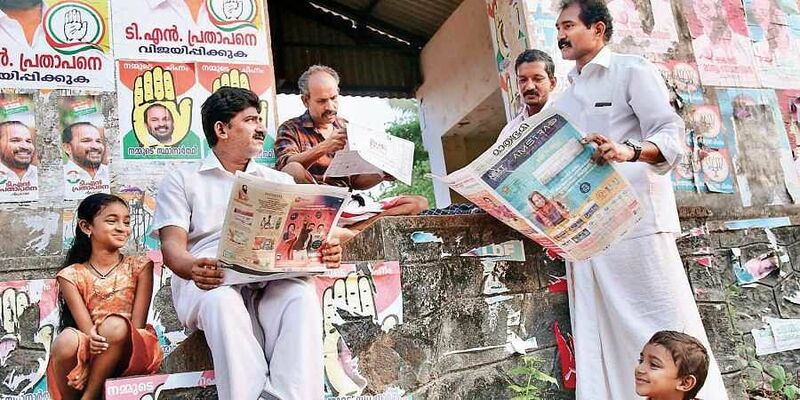 Statistically speaking, Thrissur LS seat can be called a CPI pocket borough since it has sent Communists to the Lok Sabha not less than 10 times in the 16 Parliament polls held so far. But this time around with CPI’s Rajaji Mathew Thomas pitted against DCC chief T N Prathapan and NDA’s actor-turned- Rajya Sabha MP Suresh Gopi, the likely outcome can indeed defy prediction. Other than this, against the backdrop of the mid-August floods, which left a trail of death and destruction, with Thrissur being one of the worst hit, the hustings will be a tough call for the candidates seeking the mandate. Prathapan, though, is banking on the electorate’s desire for change while Suresh Gopi is seeking votes on the plank of being given the chance to serve the people. On Sunday, as Rajaji Thomas’ election campaign passed through the Nattika Assembly segment, Prasannan K B of Nedupuzha kole padavu told Express about the hardships encountered by paddy farmers in the district. “Kole fields always yield a good harvest. But this time around, out of the 900 acre in Nedupuzha we managed to cultivate paddy on only 200 acre of land as we didn’t get the support to replace or fix the damaged motor pumps,” he said. Several motor pumps here were destroyed after the fields got inundated, but the issues faced by farmers remained unaddressed. “We also have the traditional ‘petti-para’ for dewatering kole lands, but it cannot be used since the KSEB stopped giving connection for it. Despite repeated applications, sitting MP C N Jayadevan failed to give the nod for getting new motor pumps,” he said. But Rafeeq, who sells fish from a make shift outlet at Mulayam Junction in Mannuthy-Kuthiran on NH 544, sees things differently. According to him, Rajaji is sure to win and it will prove a game changer as it will resolve the impasse over the NH widening work. Sobha from Ollur, however, is not bothered about the poll outcome. “Suresh Gopi is one of my favourite actors and I will vote for him,” she said.